MILAN, February 5, 2018 /3BL Media/ – Costa Cruises has today unveiled its 4GOODFOOD program, whose aim is to halve food waste on board the Italian company's ships by 2020. The starting point for the project is recognizing the value of food. The food experience is a key part of the cruise and the relevant figures are quite staggering: some 54 million meals a year are prepared on board the members of the Costa fleet. By means of 4GOODFOOD, Costa decided to review all its food service processes and remodel them using an integrated approach based on sustainability while ensuring the proactive engagement of guests and crew. The company is not working alone on 4GOODFOOD; indeed, it can count on the collaboration of Italian and international partners with a proven track record such as Fondazione Banco Alimentare ONLUS, Cittadinanzattiva, the Slow Food Foundation for Biodiversity, Università degli Studi di Scienze Gastronomiche di Pollenzo and Winnow. The pilot project was successfully developed and tested on the flagship Costa Diadema starting in 2016 and 4GOODFOOD is now being implemented fleetwide. During the experimental phase on board the Costa Diadema, the program yielded impressive results with a more than 50% reduction in food waste in 11 months: this is equivalent to a saving of 1189 metric tons of CO2, namely the emissions of 231 motor vehicles in a year. In any event, Costa Cruises' ships were well placed from the outset with regard to food waste. According to a report entitled "Overview of waste in the UK Hospitality and food sector" produced by WRAP (the Waste & Resources Action Programme, world leaders in helping organizations achieve greater resource efficiency), the average shorebased restaurant wastes 284 grams of food per person per meal. This compares to the 216 grams measured on the Costa fleet prior to the launch of the 4GOODFOOD program. "I am proud to vouch for the progress made by Costa Cruises on the path to food sustainability while contributing to the cultural change that is taking place vis-à-vis this issue. All of this goes to show that the business world and civil society are taking a firm stand when it comes to tackling food waste. I am in no doubt that a heightened sense of responsibility is the key to spreading the message that the right to food is an inalienable one; therefore, we need to boost our joint commitment so as to create more opportunities for dialogue, thereby engaging the community and fostering best practices, including tangible synergistic actions like the initiative presented here today,” said the Italian Deputy Minister Andrea Olivero. Food waste is a key global issue: the UN 2030 Agenda lays down 17 Sustainable Development Goals, one of which is precisely to halve per capita global food waste by 2030. According to FAO, roughly one third of the food produced in the world every year — approximately 1.3 billion metric tons — gets lost or wasted. 4GOODFOOD is a far-reaching project that considers every aspect of food preparation and consumption on board and provides tangible and measurable solutions. In partnership with the Università di Scienze Gastronomiche di Pollenzo (University of Gastronomic Sciences), Costa began by remodeling its food&wine offerings based on sustainability and the rigorous selection of quality products and ingredients while prioritizing the seasonal availability and local sourcing of produce. This included the introduction of 572 regional and local dishes reflecting Italy’s unrivalled culinary heritage and the Mediterranean Diet. Together with Winnow, specialists in optimization of processes in professional kitchens, Costa placed kitchen scales in the galleys and kept a centralized record enabling the mapping, quantification and analysis of wastage at food processing and preparation level. This system has enabled the gradual implementation of integrated improvement actions on board the ships, and it is already in use on more than half the fleet. Key to this was the specific training of almost 2400 galley staff, who were instructed on how to reduce waste and apply more sustainable processes. Meanwhile, the Taste don’t Waste consciousness-raising campaign is designed to directly involve guests by encouraging responsible behaviors and proactive engagement, particularly in the buffet area. 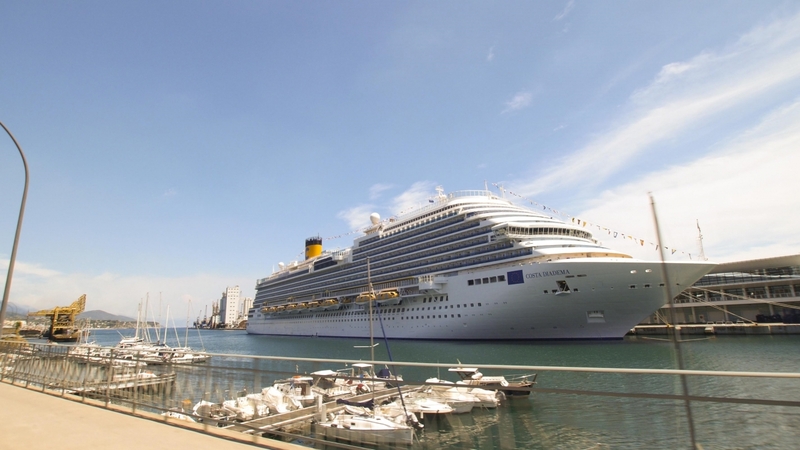 In this phase of the project Costa Cruises is working alongside the citizen and consumer rights group Cittadinanzattiva, which helped monitor the effectiveness of the “call to action” on the Costa Diadema. The results of the initial test were excellent: almost 90% of the guests viewed the campaign favorably and the amount of food wasted by guests in the buffet dropped by almost 20%. Following the introduction of Law no. 166/2016 on food waste, promoted by Italian MP Maria Chiara Gadda, Costa teamed up with the food bank charity Fondazione Banco Alimentare to launch a surplus food donation scheme. In what is a first for global shipping, Costa can now retrieve and donate “ready to eat” meals prepared on board but not served in the ship's restaurants. This initiative started operating on the Costa Diadema in Savona in July 2017 and was recently extended to include the Port of Civitavecchia (Rome). In just six months approximately 16,000 portions were distributed via local associations to people in need. In 2018 it is planned to expand the scale of operations to include other Mediterranean ports - namely Palermo, Cagliari, Bari and Venice in Italy plus Marseille, Barcelona, ​​Athens and Valletta (Malta). The engagement of guests will have another positive effect. Costa Cruises has decided to support the network of Food Gardens in Africa promoted by the Slow Food Foundation for Biodiversity. The Italian company will provide ongoing financial backing for the venture, with the annual amount of its contribution directly linked to the reduction in food waste in the buffet on the part of guests; the idea is to guarantee the future growth of the network by giving food resources back to the community. Earlier today Costa kick-started its commitment when it handed over to Slow Food founder Carlo Petrini initial funding for the establishment of 50 new food gardens in Mozambique, South Africa and Tanzania. The conference for the presentation of 4GOODFOOD program was held today in Milan, under the patronage of the Italian Ministry of Agriculture, Food and Forestry.